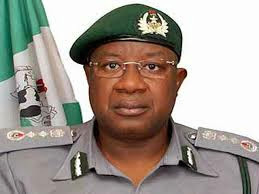 Comptroller General of Customs, Dikko Abdulahi said in Seme Border Station that the idea was to achieve national food security and protect the economy from the activities of smugglers. The Customs boss who was represented on the occasion by the Deputy Comptroller General (DCG) Investigation, Inspection and Enforcement, Tahir Musa, said that the unit would ensure that Nigeria was not used as a dumping ground for smuggled poultry products, which he said was not the best for human consumption. He said, “During this period, our operatives will intercept smuggled products, seize and destroy them in line with the provisions of extant laws and regulations. Like the wayward chic, there will be no hiding place for smuggled chicken in our land. Our hawks will descend and mop them out of circulation. “As we roll out our guns smoking, we are strengthened by the outcome of recent medical research which reconfirmed our fears about the health hazards of consuming smuggled products. He noted that there has been increased smuggling activities of poultry products despite efforts by the Customs to check the situation. “We have received commendations but from time to time, this menace rears its ugly head and that is why we have decided to march by launching this operation so that we can mop it up and in a sustainable manner so that no smuggled poultry products come into the country”, he said. According to the customs boss, the special unit will be in operation in Ogun, Lagos and Oyo states for about three months. He called on security agencies to cooperate with the Customs by giving vital information that will lead to the apprehension of smugglers. Also, a total of 8,000 cartons of smuggled poultry products were destroyed as part of the launch of the ‘Hawk Descend’. The Director General, Poultry Association of Nigeria (PAN) Onallo Akpa disclosed that 80 percent of smuggled poultry products come into the country from Benin Republic.